Three crew members died after an Ethiopian military helicopter crashed at a United Nations compound in Abyei at the disputed border of Sudan and South Sudan, the peace keeping mission known as the United Nations Interim Security Force for Abyei said. The helicopter with 23 passengers on board was on a routine operation carrying Ethiopian troops on rotation from Kadugli to Abyei when it crashed on Saturday, the UNISFA said in a statement on its website. Ten passengers were injured with three in critical condition, it said. The cause of the accident isn’t known yet and is under investigation, UNISFA’s acting Head of Mission and Force Commander Major General Gebre Adhana Woldezgu said. A referendum on which country Abyei area belongs to was promised as part of a 2005 deal that ended Sudan’s two-decade civil war and led to the south’s secession four years ago. 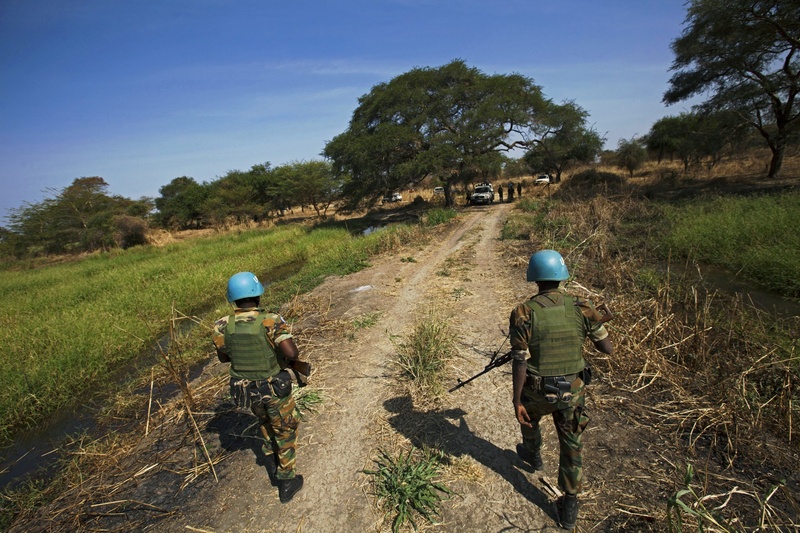 Ethiopia has around 4,500 personnel on the ground to support UNISFA’s efforts of ensuring peace and security in Abyei, according to the mission.